For as long as I can remember I never wore black and brown together. In fact I would go as far as chant "Black and brown you wear a frown!". Over the past few years, mixing black and brown has become a trend. I stayed away from it for a while and then I caved. 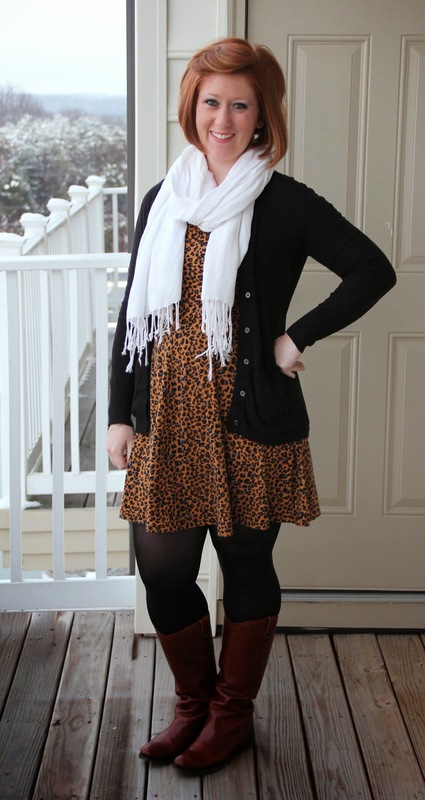 If a dress is made with both black and brown in it, then I can accessorize with both, right?! 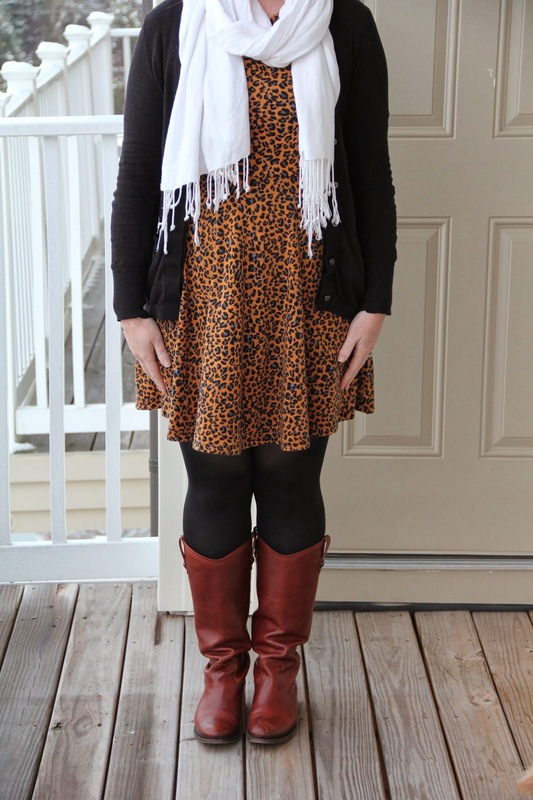 So there you have it, a little black, brown and animal print for my edition of What I Wore Wednesday! I hope you are inspired to mix it up a little and step out of your color comfort zone.